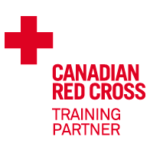 BraveHeart First Aid is a Training Partner with Canadian Red Cross. Owner Nancy O’Halloran has built a company on motivating people in her courses to feel useful, confident and safe in a first aid time. Nancy and her team are trained to instruct all OHS courses that can build a safe workplace. We believe everyone should have these courses. This is the true key to safety in a home and workplace. Be prepared! We offer a unique style of training that is an effective approach to successful confidence building. We use hands-on learning that features interesting, engaging scenario-based techniques with casualty simulation. Our home base is in the Annapolis Valley. However, we instruct monthly in areas including New Minas, Wolfville, Greenwood, Yarmouth, Berwick and Windsor, and provide training classes all over Nova Scotia. Our main boardroom location is in the Town of Kentville. Companies can put staff into our weekly courses or book their own. Clients leave our courses feeling motivated and confident to provide care for an ill or injured person in an emergency. Many of them feel ours was “the best first aid course” they have ever taken! Wellness and prevention are the keys to promoting safety in the workplace and the home. Safe employees mean better productivity for your business. Enrich your employees (and your business) by enrolling them in a Red Cross First Aid Course hosted by BraveHeart First Aid. Come and experience what we have to offer you – leave feeling confident that you can save a life! We look forward to meeting you.